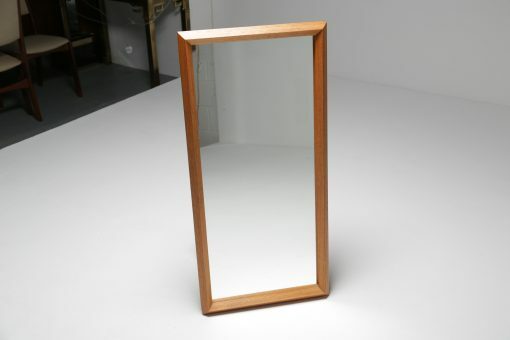 An unusual vintage Danish teak wall mirror with an interesting ridged frame. Very solid and chunky piece lots of interesting angles, looks like 2 frames sandwiched together. In good vintage condition with clear original mirror and hanging wire for wall hanging.